Our Contest & Judging system provides many benefits–and pursues multiple goals. Our contests are about far more than what shows up on a scoresheet. The BHS Contest & Judging (C&J) program can be more accurately described as a robust infrastructure of resources, policies, rules, and guidelines, implemented by dedicated and experienced volunteers who serve as clinicians, mentors, coaches, evaluators, and certified BHS adjudicators. Barbershop contests have been an integral part of our culture from the very beginning of the Society. However, over the years the purpose for contests and the C&J program has evolved to be far more than to just rank competing ensembles. Indeed, each performer receives a number of benefits from contest events, and non-competing audience members benefit as well. Let’s look a how C&J’s six fundamental goals benefit competitors, supporters, and audience members alike. 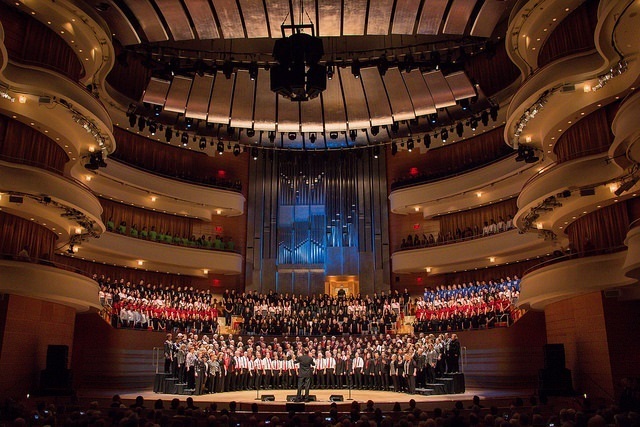 The BHS has long sponsored programs and initiatives that reach out to new and developing singers. Our contest system has and will continue to provide a backdrop and framework that is critical to achieving this mission. Other organizations, music-related or not, provide encouragement and outreach by way of competition. Many are attracted to the Society because of its encouragement to prepare for and participate in contests. Even those who prefer not to compete—and many others who are more than spectators—become “insiders” into the entertainment and excitement of competition at all levels. In addition, C&J continues to motivate and incentivize many men and women to become involved beyond just singing, but also as coaches, clinicians and adjudicators—sharing their passion for music with many others. This not only leads to the encouragement of new singers, but encourages those who serve in an expanded capacity beyond performing. Many singers join a chorus or quartet in part for the social interaction and relationships. The shared experience of competing at division, district and international-level contests gives them an even greater opportunity to build on those relationships as they strive for a common goal (winning a contest, achieving a higher ranking, improving with a higher score, etc.). In addition, BHS competitors typically develop strong bonds with their “rivals” as they share in a common quest. These new relationships are forged and facilitated through their common shared experiences of performing on the contest stage. It would be difficult to imagine that our conventions would have been so well-attended over the years without any sort of competition. The structure of many larger events often depends on there being a contest. The anticipation, preparation and participation at the contest (for both competitors and non-competitors) provide a wonderful incentive to draw performers, their families and others to a great BHS convention. In addition, they know that they’ll also be able to interact with old and new friends during the event to enjoy all those other non-contest activities, including fellowship and more singing. These opportunities, most often experienced at contests, play an invaluable role in creating that feeling of a larger barbershop family! The contest system provides far more than a scoring framework. Intrinsically interwoven into the C&J fabric is the detailed information contained within the scoring Category Descriptions, as well as a framework for facilitating top-quality face-to-face feedback, evaluation, and coaching sessions. To properly teach artistic singing and performance in the barbershop style, it is important that there be a way to capture and clearly define the various vocal production, ensemble unity, interpretive, musical, and performance aspects. In addition, the benefit of coaching, evaluation sessions, and clinics (both at the contest site and throughout the year) extends to more than just those involved in those sessions. Non-competitors continue to be positively influenced and learn from those who compete because of their contest-related experiences. The C&J program seeks to provide great clarity to help individuals and ensembles have a recipe to create a better barbershop musical experience for their audiences, other Barbershoppers, and for themselves. Part of the excitement surrounding BHS contest events includes the recognition of effort and achievement. Singers perform for others, but we also perform for ourselves. While it is wonderful to exchange high-fives with fellow tag singers in the hotel lobby, nothing quite compares to the satisfaction and encouragement one gets from being recognized for our on-stage performances. The C&J community is continually involved as clinicians, coaches and educators to not only encourage, but to help all of us improve as singers and performers. Over the past several decades, a large number of the instructors, trainers, and clinicians at Harmony University (as well as dozens of other BHS camps and workshops) have been or are still a part of the C&J community. As the C&J program evolves, we desire to seek even more methods and opportunities to support the larger goal of improving barbershop performances. In addition, most agree that the overall quality of artistic barbershop performances today would most likely not have risen to this level were it not for the C&J program over these many years. While most people improve and achieve new heights through their own individual efforts and motivation, most of us can (and do) achieve far more when provided external incentives, encouragement, and recognition for those achievements. Self-actualization simply means “the achievement of one’s full potential,” and it is one of the primary objectives for C&J. Yes, we hope to do our part to attract bigger audiences and more singers to our organization as we define clear guidelines that foster artistic barbershop performances. We certainly provide opportunities for education, improvement, recognition of achievement. But ultimately, we seek to create an environment, infrastructure, and support system that allows each individual to be all they can be. • BHS members who want to improve their singing and/or performance skills can have an ongoing avenue for education and growth by becoming involved in preparing for and participating in BHS contests. overall participation as they become immersed in the excitement of BHS competitions and benefit from the influence of competitors. • Family members and friends can share in the thrill of barbershop as they cheer for their loved ones at BHS contests. • New (non-barbershop) folks will be enriched further as they enjoy or investigate barbershop via YouTube videos from contest performances. What more can C&J provide? • Inviting “unofficial competitors” to perform and/or compete on stage. These could be members, Associates, or even non-members who want to perform for “show,” or perhaps compete for other awards. Mixed quartets, VLQs (very large quartets), high school or college choirs, and local community ensembles might all choose to sing just for fun (or for a score) or to receive topflight post-performance feedback and coaching from the judges. • Providing classes, workshops, and clinics. Judges can serve as instructors, coaches or clinicians to members and non-members alike—ranging from vocal production workshops, to music theory classes, to clinics teaching a variety of singing and performance skills and topics. One recent example included a workshop-style coaching clinic setup for men from two very small chapters that had not competed in many years. They saw the value of coming to the convention weekend to learn how to have more fun singing and performing at a higher level, receiving expert coaching from judges without the anxiety of having to compete on the contest stage. Another example involved five separate college choirs from across one district who were invited to a district convention for a day-long coaching workshop and evening festival. • Local or regional outreach events. The C&J community could help serve as resources/clinicians/judges to events that range from workshops and seminars to festivals or jamborees open to the public. 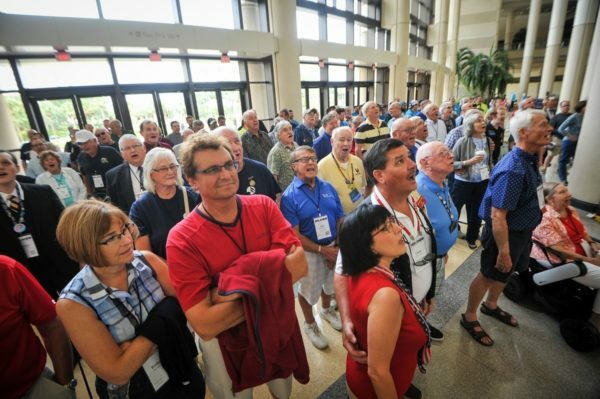 Such events can encourage many to learn more about singing and performing for fun, while enjoying each other in the fellowship of barbershop harmony. adjudication to determine winners and rankings of barbershop quartets and choruses. 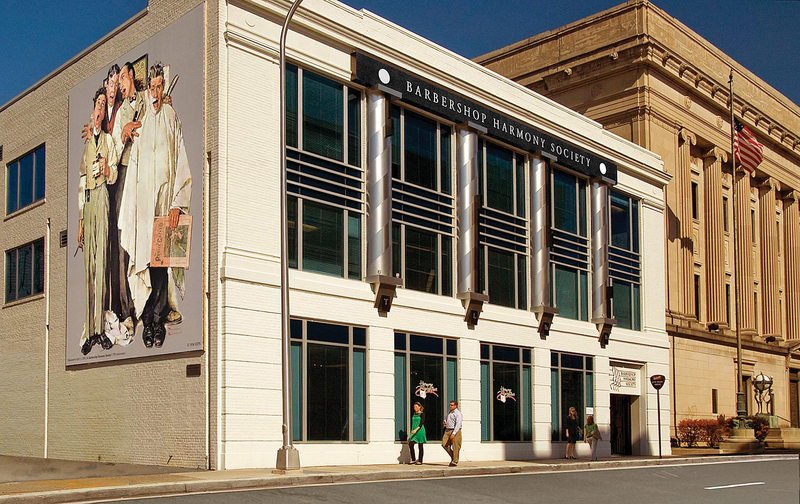 The mission extends to better enriching the lives of everyone through Barbershop harmony!